Carey Casey from the National Center for Fathering provides a crash course on the dating dangers for teens. A report by the U.S. Department of Justice states that one in every three teen girls is a victim of physical, emotional or verbal abuse — not by a stranger but by a dating partner. That figure far exceeds rates of other types of youth violence. In addition to physical abuse, some teens are using threats, insults, obsessive monitoring, continuous texting, humiliation, intimidation, isolation or stalking to try to exert power and control. Teens are inexperienced with dating relationships and may have overly romanticized views of love. They’re often incapable of handling strong emotions positively and want to express independence from their parents. Young men may believe they have the right to “control” their female partners and demand intimacy, and might equate masculinity with physical aggressiveness. Young women may think their boyfriend’s jealousy, possessiveness and even physical abuse is “romantic” or abuse is “normal” because their friends are going through similar things. Guys can also experience forms of abuse in dating relationships. Talk about the issue and ask about how widespread it is at your child’s school. Share your views on dating situations and your hopes for your child’s relationships. Establish clear boundaries for your child’s dating situations — expectations for boys and girls regarding behavior and communication with you. Be a positive model — both in your marriage or dating relationship and in the way you treat your son or daughter. For some potential danger signs, see the “bonus” material below. For more information, positive steps you can take, and research statistics on the topic, there are many websites you can visit. Encourage your teen to keep relationships at the level of friendship. Teens aren’t ready for a serious relationship, and a strong friendship will prepare them for a strong romantic relationship later on, if that’s where it leads. Explain to your child the concept of “listening to your gut” — or her conscience. If she finds herself in a situation that just doesn’t seem right, she should pay attention to that feeling and get out of there. Does your son or daughter have a best friend who doesn’t have a close relationship with his or her dad? 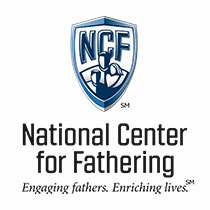 Talk to that friend about these issues and volunteer to play a father’s role for him or her. Do all you can to involve your teenager in youth groups and activities where peers and potential dating partners are more likely to share your values. Your child has to have her cell phone with her at all times so she doesn’t miss a call, or she is very distressed if she does miss a call. The boyfriend or girlfriend seems angry when your child has something else scheduled, like a family event or time with other friends. Your child quits an activity she loves to be more available for her boyfriend. The boyfriend or girlfriend wants to control how your child dresses or wears his/her hair. Manipulation like this can lead to physical violence, and by that time the girl feels so controlled, isolated, and fearful that she doesn’t know how to get help. But in healthy relationships, there is no battle for control of the other person’s time or attention. The two are supportive of each other’s interests and families. Control does not go with loyalty or genuine bonding.